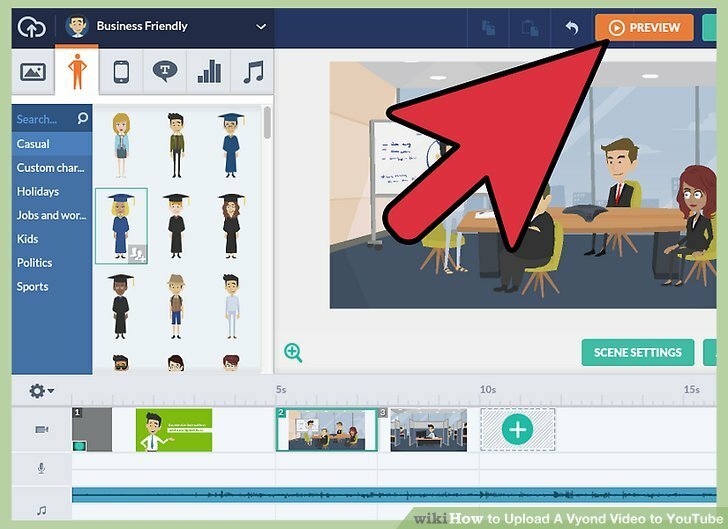 Uploading a Vyond video to YouTube can be helpful if you are an up and coming animator looking to make some Vyond videos. 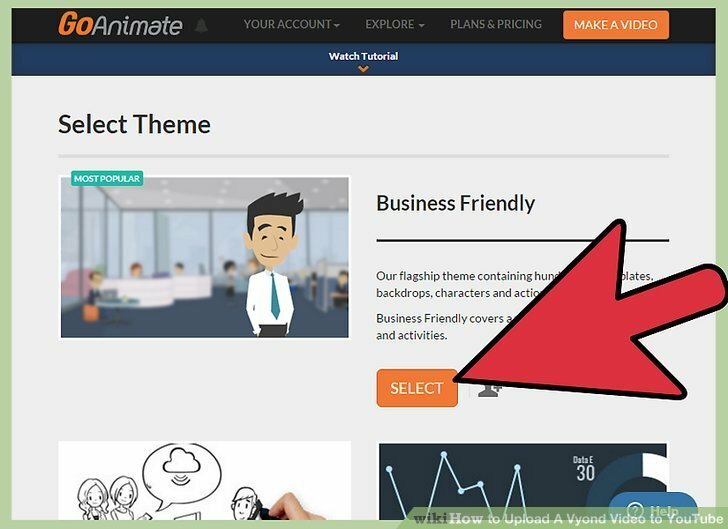 It can also be effective if you own a small business and are looking to advertise on YouTube, but can’t afford Personal, Business or Enterprise. 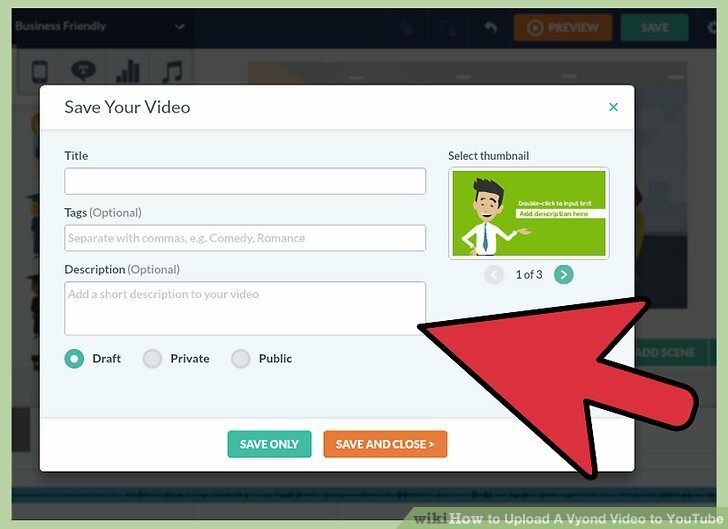 Continue reading to learn how to upload a Vyond video on YouTube with a free trial. For people looking to advertise, use Business Friendly or Contemporary. Choose a background for your first scene. Based on the plot of your story, pick out any of the stock ones, or import your own out of Google Images. Save your work. 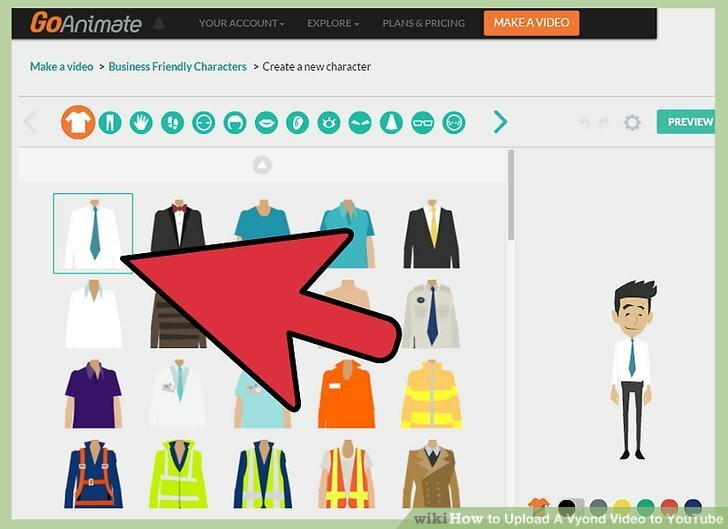 Making a custom character will take you out of the video making area and will require you to save your work. Add voices, actions, and emotions to your character. 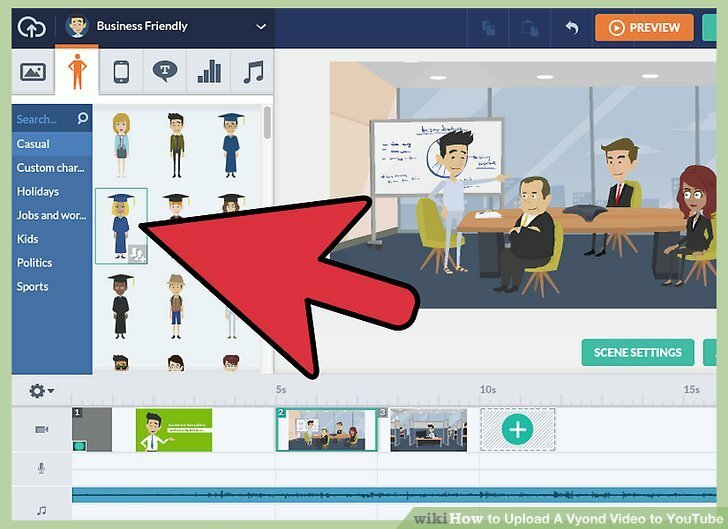 To do this, click on your character and use Voices and Actions in order to give your character the necessary commands to make your video successful. 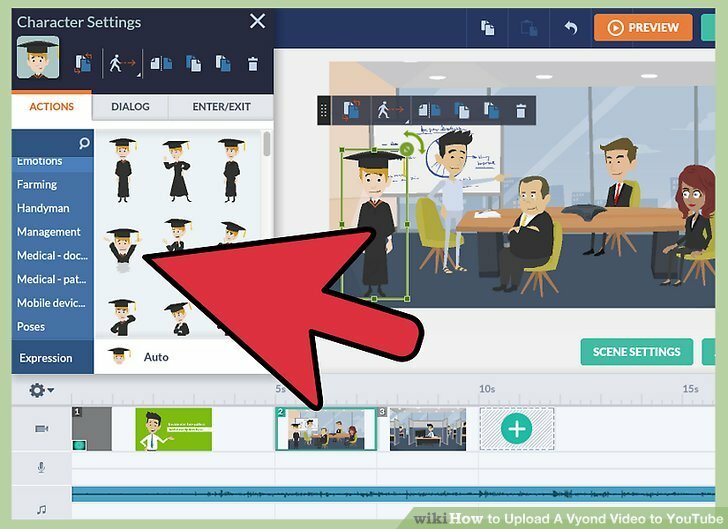 There are several types of voices you can use – comedic animators often prefer the Text-To-Speech, while advertisers like the human voiceovers. Add another scene and keep repeating steps 2 to 4 until your video is done. 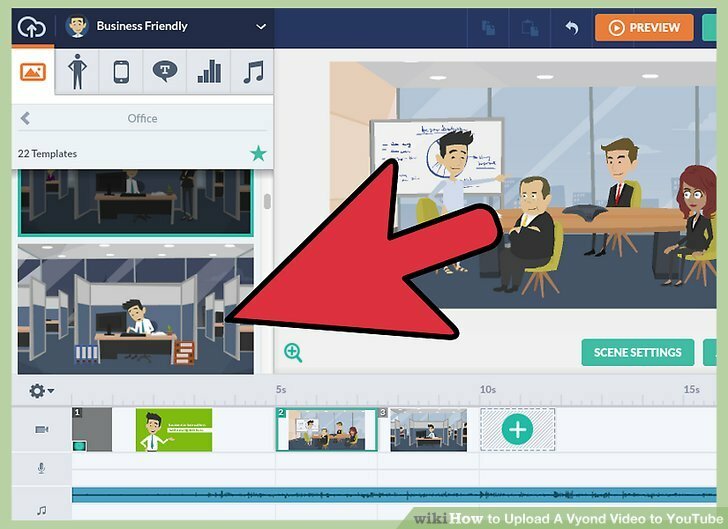 Preview your video and if you see anything that you don’t like, click back to editing and touch up anything that dissatisfies you. 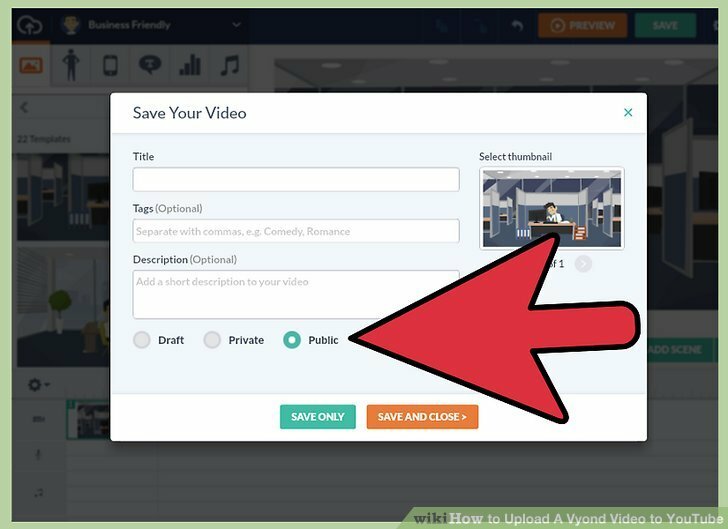 If you plan to upload the video on Vyond itself, hit “Save”, enter the title of your video, mark it Public, and hit Done. If not, see the section below. Figure out how to use your screen recorder. Don’t be afraid to play with it a little. Once you have the ropes down, get to recording and save the finished recording afterwards to your computer. Hit the Upload button in the top right corner of the screen. It will ask you to drag and drop files. 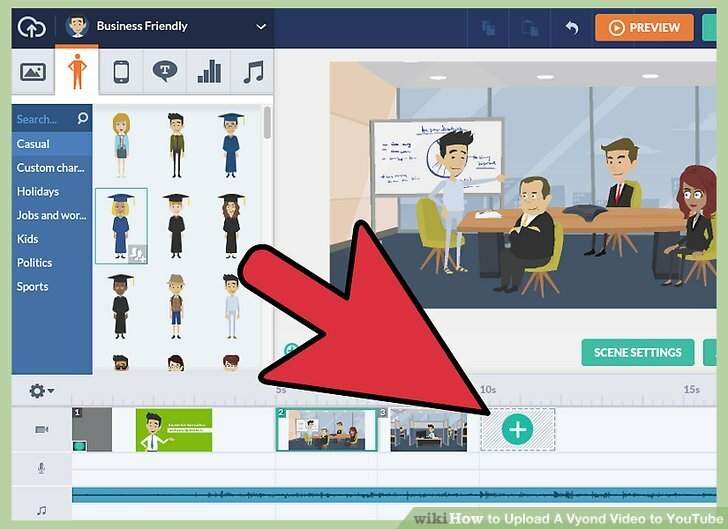 Click and drag your video file into that area. Enter the title of your video and add a description while the video is downloading. Make sure to not exit out of the tab or else the upload will abort.